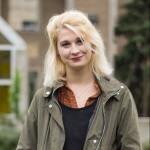 Ellen smith is a fourth year Arts and Contemporary Studies student currently blogging for RU Student life. Ellen can be found getting booed off the stage at karaoke or in the sale section of shoppers looking for the most obnoxiously bright shade of lipstick she can find. It’s the Exam-ocalypse: Are You Prepared?